All forms of manufacturing technology and allied equipment are exhibited at the Tokyo Big Site in the Tokyo Bay area. Representatives from Okuma Australia, Steve Norbis (Northern Regional Manager NSW & Qld) & Mark Richards (Branch Manager Victoria & Tasmania) and Okuma New Zealand, Fred de Jong (General Manager, NZ) attended JIMTOF. 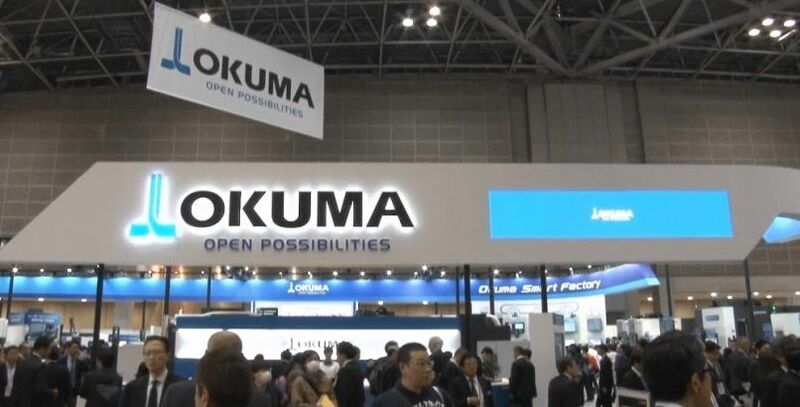 Okuma exhibited the following machine technology: MU-6300V Laser EX, Multus U4000 Laser Ex, Multus B250II, LB3000EXII with Armroid, 2SP-2500H, MU6300V-L, Genos L300 MY, MU-S600V with Robot, MU-S600V with Okuma Standroid system, MB46VA with Standroid automation, New MB5000HII, GA26W, GI20NII and MCR-S.
Okuma concepts and features were also on display including: Okuma Smart Factory/Connect Plan, Hyper-Surface, Armroid, Standroid, AI Machine Diagnostics, Gear Machining Package series II and 5 Axis Auto Tuning System. Okuma Australia’s Steve Norbis and Mark Richards who attended JIMTOF also took one day to host our customers on a visit to the DreamSites at Okuma Corporation, Nagoya Japan. Our customers and Okuma representative travelled via Bullet Train to Nagoya early Monday morning to experience the hospitality and technology Okuma Corporation has to offer.